Deoxyribonucleic acid (DNA) transcription is the process by which DNA inside cells in the human body are converted into ribonucleic acid (RNA) in order to create genes and produce proteins. DNA transcription occurs when an enzyme known as RNA polymerase unzips the double-stranded DNA molecule by breaking down the bonds between connecting nucleotides, the molecules that form the basis of DNA and RNA. Once the DNA is unzipped, RNA nucleotides join up with their complementary DNA nitrogenous bases to form a long strand of RNA. The RNA polymerase then helps to form a sugar-phosphate backbone that links all the RNA bases together. Upon completion of the RNA strand, it is released from the DNA molecule, and the process of transcription is accomplished. RNA is very similar to DNA, except that it consists of a single strand and not a double strand. It also has a slightly different molecular structure in that it contains uracil, a nitrogen-based compound that is a part of live tissue. On the other hand, DNA contains thymine, a compound that consists of nitrogen and carbon. The process by which the code for a specific protein is transferred from DNA to RNA is known as DNA transcription. Once DNA transcription has taken place, a new protein can be created through the process of DNA translation. In translation, the newly formed RNA strand pairs up with complementary bases to create a code for producing a protein. This code serves as a type of instruction manual and can then be used by ribosomes inside the cell to begin assembling a protein. DNA is comprised of sections known as nucleotides, which consist of a nitrogenous base, a sugar molecule, and a phosphate group. These nucleotides join up to each other and spiral around each other to form a double helix. There are only four nitrogenous bases that can make up DNA, and they can connect only in a very specific way — adenine can bind to guanine, and cytosine can only bind to thymine. Considered to be a genetic blueprint, DNA contains all the genetic material that makes each individual unique. The role of genes in the DNA transcription process is to provide the instructions needed to produce all the proteins in each cell that allow that cell to perform its function. 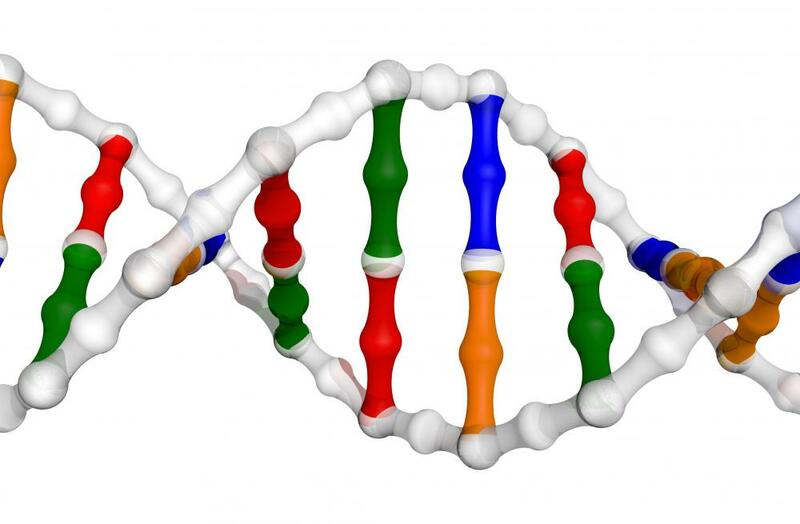 DNA is located in a cell’s nucleus, the central part of the cell. The nucleus is considered the control center of the cell. By controlling each cellular function, DNA also controls the structure and function of the body as a whole, because every individual is made up of cells. How Much DNA Does the Human Body Contain? 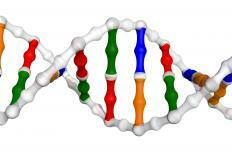 In Genetics, What Is Complementary DNA?